OXFORD —Wellborn softball coach Brenda Vinson apologized for having the sunglasses on at night. She said it was hiding her tears. No need to apologize. After Wednesday night the Lady Panthers’ future in the Calhoun County Softball Tournament is so bright she’s got to wear shades. Seventh-seeded Wellborn pulled off the first upset of the tournament, stunning second-seeded area rival Pleasant Valley 5-2. “For us the road can be rocky from time to time and we pulled together and played as a complete team,” Vinson said. “God gives us the ability to be good at a lot of things, but we have to cultivate what He’s given us in order to be great, and I want us to be great and I want us to be elite in what we do. I kind of challenged them as to what do you want to be? The Lady Panthers broke a 2-2 tie with a two-out rally and time running out in the sixth. Breanna Wyatt had the go-ahead single and Hayley Cotton followed with a two-run single through the left side of the infield. Landon McDaniel turned back a two-out threat in the bottom of the inning to protect the win. The way she pitched against a team she had never seen this season McDaniel may have to rethink her pregame routine of singing the Rihanna hit “Love on the Brain” before she pitches. 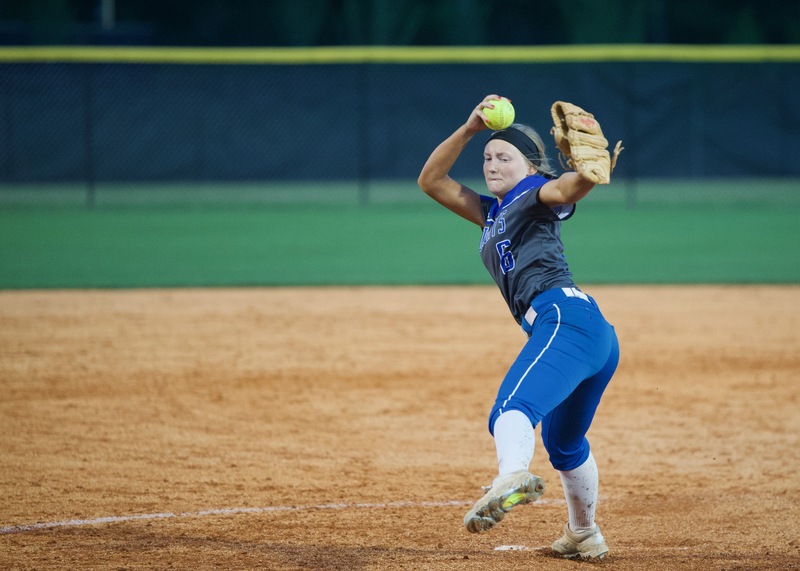 She didn’t do it before Wednesday’s showdown because she was nervous and she kept the strong PV lineup at bay by feeding the Lady Raiders a steady diet of outside pitches. The Lady Panthers now play third-seeded White Plains at 6 p.m. Thursday. White Plains survived a scare from Ohatchee to win 5-3. It wasn’t one of the sharpest game the Lady Wildcats have played, but they did enough to survive and stay in the winner’s bracket of the double-loss tournament. Catcher Graci Surrett gave the Lady Wildcats the 4-3 lead in the third on a two-out two-run inside-the-park homer that got past the leftfielder Jorda Crook and was on the business end of a perfect relay from leftfielder Camden Wilson to shortstop Emma Jones to cut down Ashley Leath with the potential tying run in the fourth. In the other winner’s bracket games top-seeded Alexandria blanked Weaver 8-0 and No. 4 Oxford edged Piedmont 4-1. 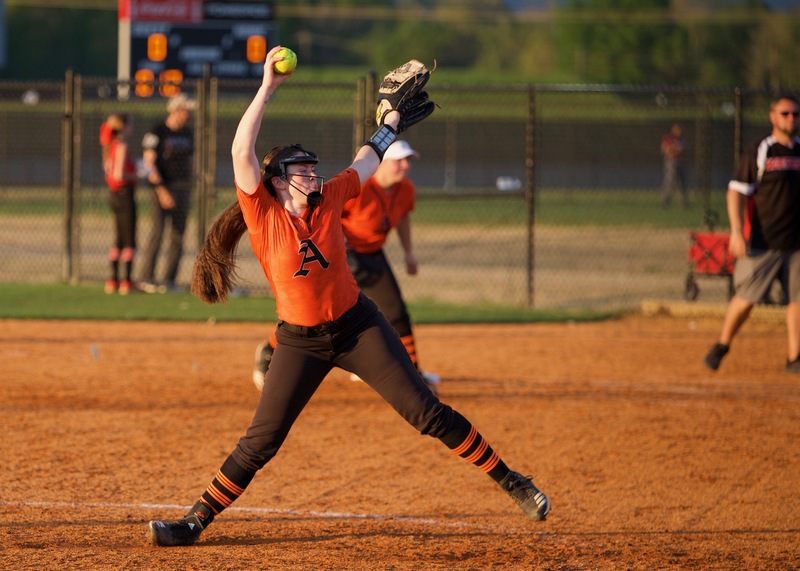 Alexandria and Oxford also play at 6 p.m.
Alexandria 10, Weaver 0: The top-seeded Lady Cubs erupted for five runs in the first inning and Lanie Dreyer struck out 11 in a complete-game two-hit shutout. Maggie Phillips (two hits), Kodie Williams (two hits) and Millie Burt all drove in a pair of runs. Jordan Beason also had two hits. Dreyer retired the first six batters she faced and had a no-hitter for 3 1/3. The only hits she allowed were a double and single back-to-back in the fourth. She struck out the side in the fourth and fifth (in order) and fanned the last five batters she faced. 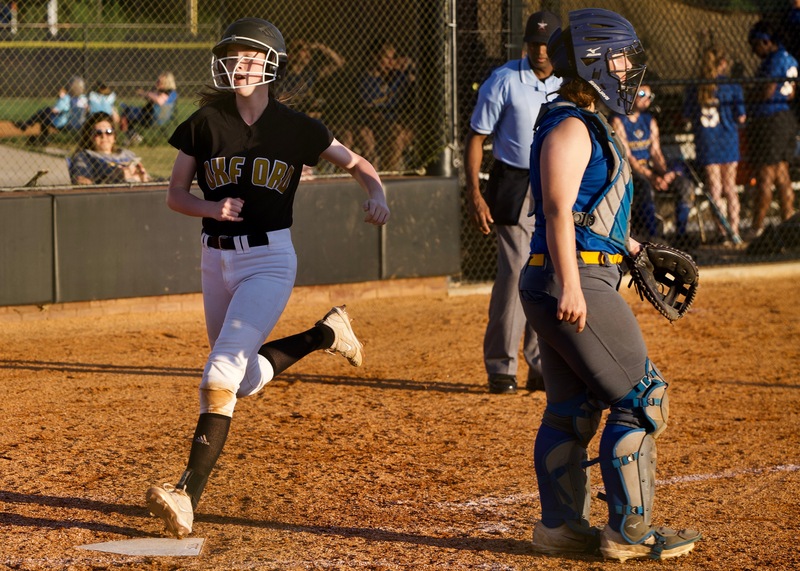 Oxford 4, Piedmont 1: Bailey Clark went 2-for-3 with two RBIs and Emily Thrasher threw a six-inning one-hitter with 10 strikeouts. The only hit Thrasher allowed was a leadoff single in fourth. The Lady Jackets were leading 2-1 when a single by Clark and double by Eilee Sparks drove home insurance runs in the fifth. Wellborn vs. White Plains, 6 p.m.
Oxford vs. Alexandria, 6 p.m.
Wellborn-White Plains winner vs. Oxford-Alexandria winner, 7:30 p.m. Faith Christian vs. Pleasant Valley, 4:30 p.m.
Jacksonville vs. Ohatchee, 4:30 p.m.
Saks vs. Piedmont, 4:30 p.m.
JCA vs. Weaver, 4:30 p.m.
Faith-PV winner vs. Jacksonville-Ohatchee winner, 6 p.m.
Saks-Piedmont winner vs. JCA-Weaver winner, 6 p.m.